Here's some wonderful mid-century kitchen kitsch! 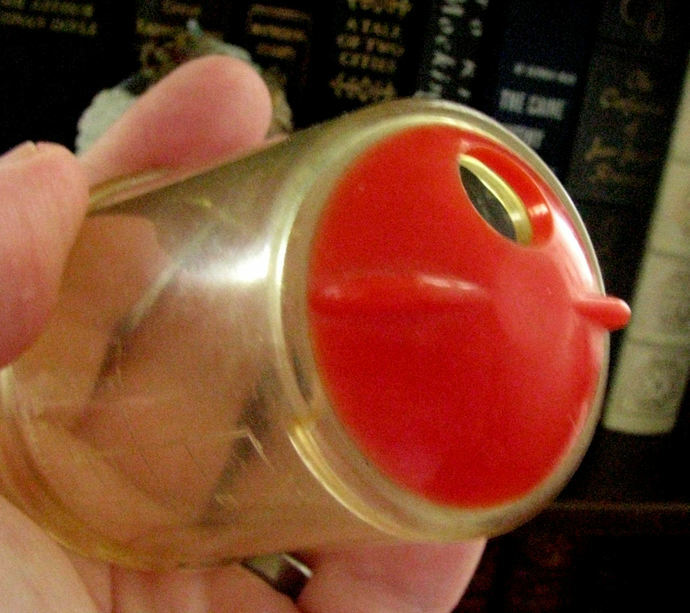 From the Federal Tool Corporation, Chicago, Illinois, USA - a fantastic nut or spice grinder. 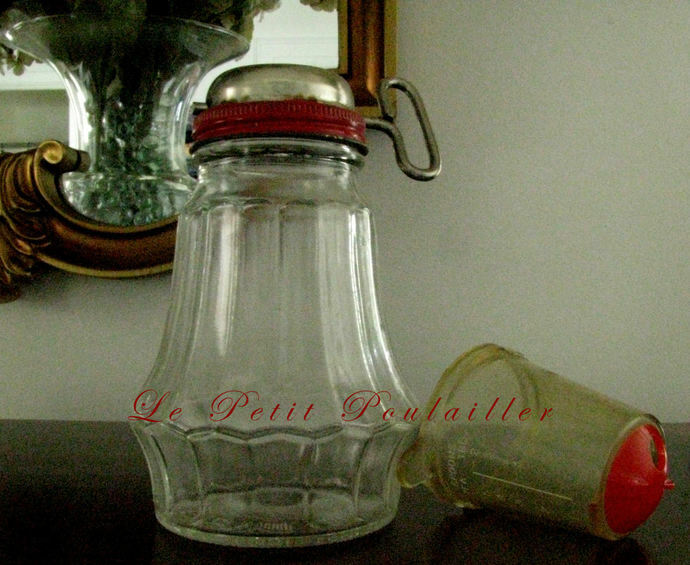 The base is pressed glass by Anchor (embossed "Federal Tool Corp Chicago" with the Anchor 'A' on the base), the screw lid/grinding mechanism is metal and the storage lid/measuring cup is plastic with a pivoting shaker-opening. In excellent condition ... no chips, cracks, crazing. 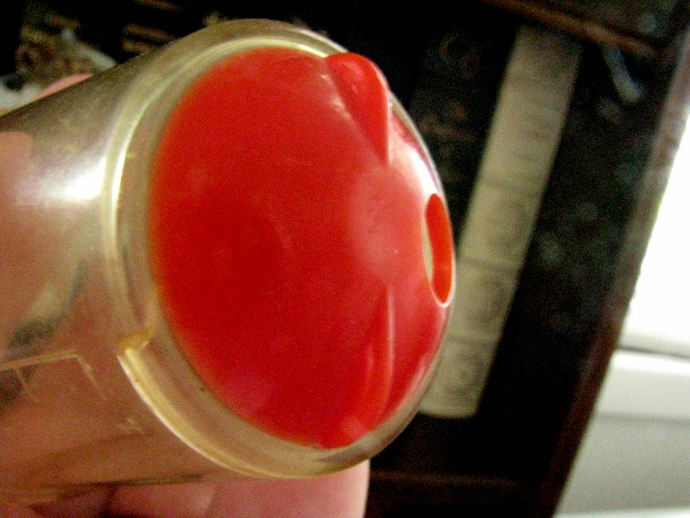 The metal grinder screws on easily, its red paint shows little wear or chipping, the grinder interior shows wear consistent with use and age. 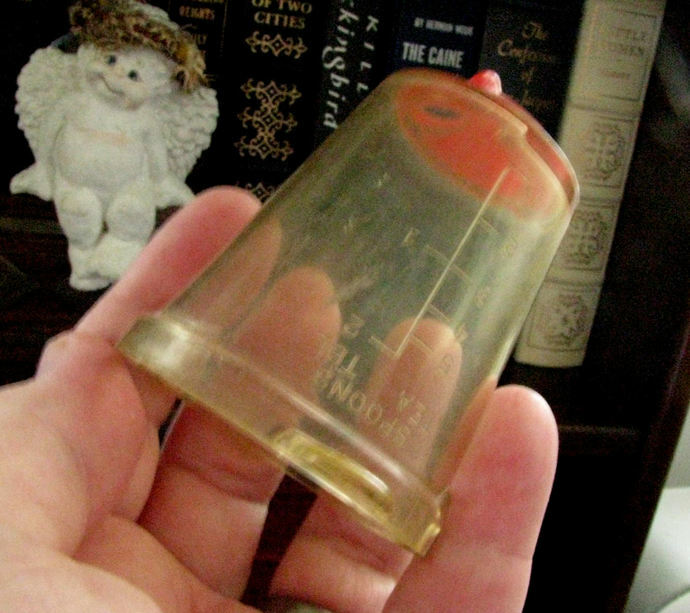 The plastic lid/measuring cup measures 5.5 tsp/2 Tablespoon and fits snugly and there are no cracks and little to no fading. The key and grinding mechanism is in perfect working condition. 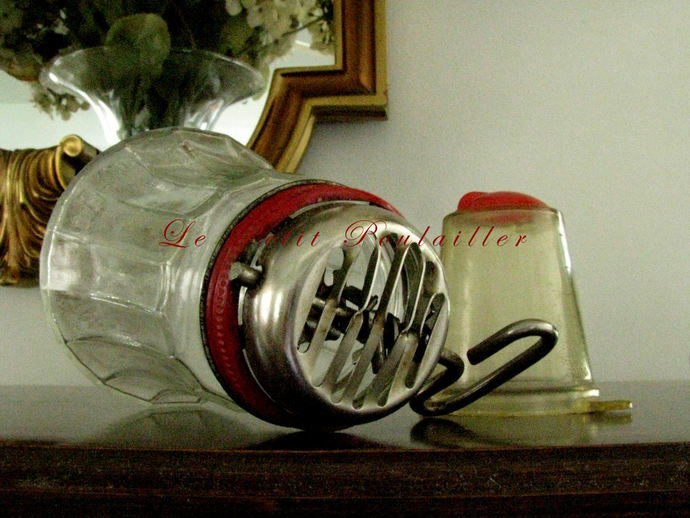 A great kitchen tool for you to use and love ... and fantastic mid-century decorating kitsch! 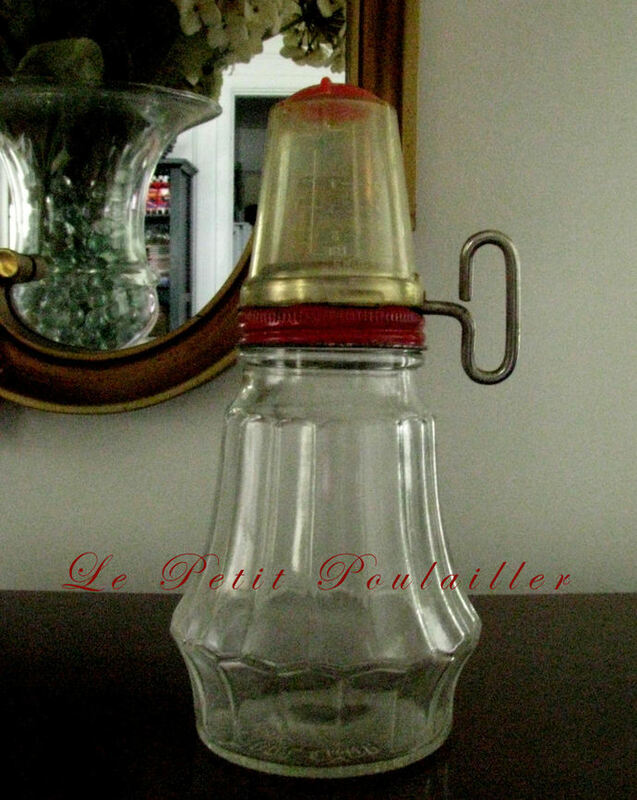 PetitPoulailler - The Finest Vintage and Antique!